Boarding Schools of America Includes Residential and Therapeutic Boarding Schools – boarding schools troubled teens and ranches for troubled teens. Agape Boarding School helps troubled teen boys learn Christian values and grow in their faith. 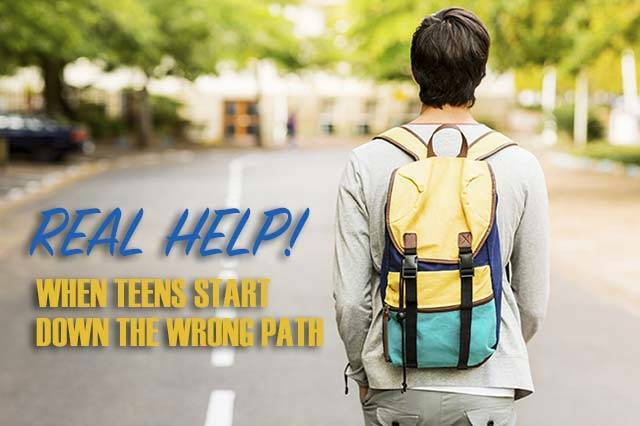 We are specifically designed in structure and care to be a positive influence to turn struggling teen boys around to become mature, thoughtful and respectful young men, with a renewed purpose and outlook on life. Clearview Horizon is a structured, nurturing and caring therapeutic boarding school for girls who need to make better choices and to develop stronger interpersonal and academic skills. The Christian staff specializes in working with adopted girls who have attachment disorders or a history of abuse or major trauma. Gateway Boys Academy helps teenage boys who have gotten off track in life need discipline and respect for authority. Gateway features all of the elements that will have the most positive life-long impact on boys in the shortest possible time, administered by loving mentors and peers who encourage them to succeed. Columbus Girls Academy is a Christian boarding school for teenage girls struggling with life-controlling problems, offering a disciplined and structured environment that emphasizes academics, character development, spiritual growth and personal responsibility. The non-profit school is a leading Teen Challenge program. Future Men is a program located in Missouri for troubled teenagers. Grounded in Christian principles, this rural program provides students with a simple and serene atmosphere in which to effect life change. Students continue their education while also working on improving their worrisome behaviors. Promise Village is a highly therapeutic boarding school for boys ages 10-17, located on a 70-acre ranch in Southern Michigan. Boy overcome personal challenges, discover their strengths, grow in character, heal from hurts, restore family relationships, develop spiritually, and improve academically. Teen Challenge Adventure Ranch is an adventure-based residential program for troubled or addicted boys ages 14-17, located in Arkansas. For over 40 years, boys have come to this first Teen Challenge program in the country from across the United States. We serve boys who need behavioral, spiritual and academic help. New facility! The Ranch for Boys is a residential boarding school just for troubled boys, located in Eastern Florida, with an on-campus accredited, private school. The ranch has a campus both in Florida and Georgia. Boys who enroll here begin in a dorm setting and finish in the advanced group home. Wings of Faith Girls Academy’s desire is to encourage and nurture respect, self-discipline, leadership, and creativity in the young girl’s life, whether academic, religious, social, athletic, musical, or extracurricular. It is a conservative and lower cost school for behaviorally rebellious girls. Wolf Creek is a therapeutic boarding school for girls and for boys with behavioral or emotional problems. It is located in the beautiful mountains of Western North Carolina. WCA’s therapy is designed for teenage boys and girls with a history of behavior difficulties, strained family relationships, or other emotional problems. Safe Harbor Academy is a lower cost Christian academy for troubled boys in Jacksonville, Florida, using the waterfront and maritime activities as the backdrop for helping teenage boys who are struggling. Safe Harbor provides a safe, stable, structured, alternative home, school and behavior therapy. Boys learn responsibility and experience behavior modification through seamanship, mentoring, counseling and a spiritual focus. Master’s Ranch and Christian Academy is an affordable Christian boarding school designed just for at-risk and struggling boys between the ages of 12 and 17. Master’s Ranch Christian Academy is located on a sprawling ranch on the border of Arkansas and Missouri. It features leadership training and vocational training for boys, giving them a strong future no matter how difficult they were when they came to the program. Brush Creek Academy is a low cost Christian boarding school for boys aged 13-17, located in Oklahoma. The Teen Challenge facility deals especially with troubled teenage boys, or boys who are failing academically. Therapy, academics, and spiritual growth are the focal points of the program deigned to help boys overcome life-controlling issues and get a new start. Providence Pass is a residential treatment program for girls age 12-17 with emotional, psychological, or behavioral issues. They offer a faith based, loving approach along with DBT & CBT therapy, Emotional Focused Therapy, Process-Experiential Therapy, Attachment & Experiential Therapy, Art Therapy, Equine Therapy and more. Therapeutic academy for boys and girls 12-17 who exhibit defiance, rebellion, failing grades, or emotional issues. An affordable and caring secure facility for troubled teens located near San Diego, CA. Kansas City Girls Academy is a Teen Challenge boarding school for girls age 14-17 who are exhibiting behavioral or emotional issues. Girls receive an education while they learn better behavioral skills. Re-Creation Retreat is an affordable licensed private therapeutic boarding school in Northern Arizona for treating and educating girls with emotional or behavioral problems, age 13-18. The residential treatment center offers top therapists for difficult emotional problems in teenage girls. Lakeland Girls Academy is an affordable Christian boarding school that helps girls with behavioral or rebellion issues, low self-esteem, or depression, located in a 10,000 square foot home-like facility. They provide a unique atmosphere with personal attention to help each girl get back on track and develop positive life strategies. New Hope Boys Home is a Christian boarding school in Texas that offers life transformation to boys who are struggling with life-impacting behaviors, addictions or attitudes. We desire to see every boy reach his God-given potential. Jubilee Leadership Academy is a fully certified and accredited Christian boarding school for troubled and at-risk boys located in south central Washington State. This very well staffed program on a beautiful campus helps at-risk boys achieve academic, spiritual and behavioral success in life. New Lifehouse Academy in Oklahoma is an affordable ranch-based boarding school for troubled girls, aged 13-18. This program helps girls with all manner of difficulties and behavioral issues. Through this school, girls are able to achieve a life of happiness, confidence, and self-reliance. Prayer Mountain Boys Academy is a program in Georgia for boys between ages 13 and 17 who are struggling. This program works with boys who are angry, defiant, abusing substances, and generally making poor choices. Through this program, teenagers are taught a new way to live in faith and begin anew, happy and free. We can also help you in your search for other boys homes, affordable boarding schools, Christian boarding schools, boarding schools for troubled boys, schools for troubled teens, or Christian therapeutic schools. When looking into boarding schools for troubled teens, it is important to know the distinction between all the different types of boarding school programs. The most common of these alternative schools are therapeutic boarding schools which are specifically designed for at-risk teens. These boarding schools, sometimes called reform schools, wilderness schools or emotional growth schools, combine therapy with academics to help kids get back on track. Another category of residential schools is Christian boarding schools. Students attending Christian boarding schools will receive both therapy and education from a Bible-based perspective. Parents of boys often look to military schools for boys or boot camps. This site includes a list of the best therapeutic boarding schools, best Christian boarding schools, best residential treatment programs for teens, best wilderness programs, best outdoor therapeutic and best adventure therapy programs. This site includes a list of the best therapeutic boarding schools, best residential treatment programs for teens, best wilderness programs, best outdoor therapeutic and best adventure therapy programs. Therapeutic boarding schools for troubled teenage boys and girls, including alternative schools and residential treatment centers.